The dark soul of the V7 reveals its eclectic and essential nature with an aesthetic that eschews chrome in favor of matte black paint. 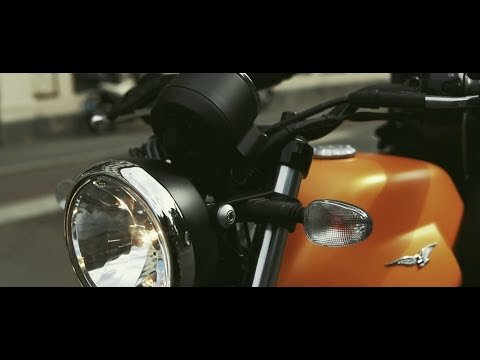 The profoundly metropolitan dark matte look of the V7 III Stone is completed with a single-dial instrument panel, a new seat, a shortened front mudguard and, a unique feature in the V7 III range, light alloy cast wheels. This new model in the historic V7 range is trendy, agile, easy to customize with an array of accessories and features including the new 90-degree V-twin engine that is more powerful and stays true to the characteristics of the Moto Guzzi tradition, that touring on a motorcycle at its most pure should be nothing but enjoyable. 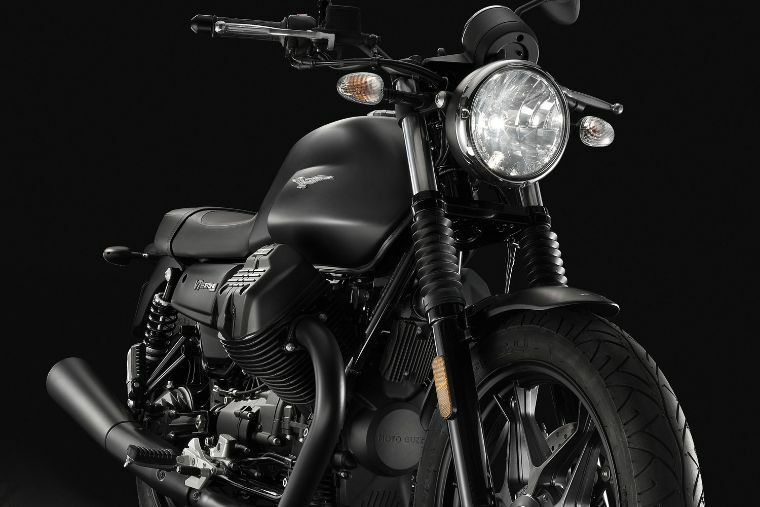 Featuring a new and more powerful, 90-degree V-twin motor and new lightweight, six split-spoke alloy wheels, the V7 Stone lets riders conquer the road with spirit. 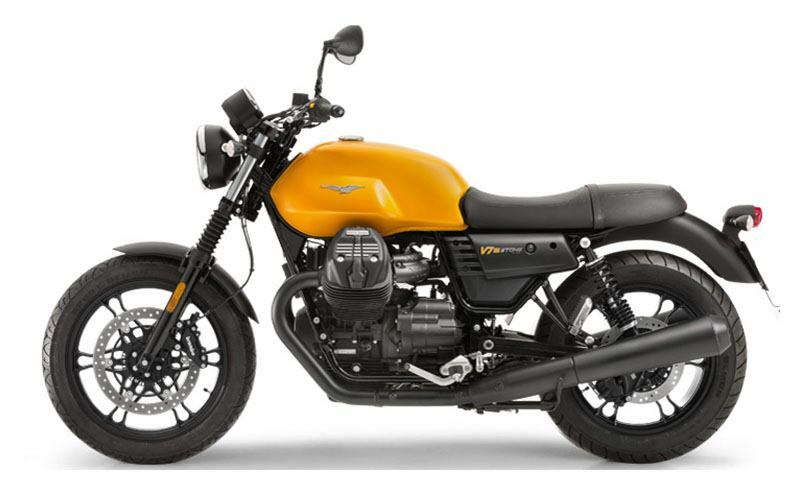 The completely re-engineered engine still relies on the engineering that made the Moto Guzzi V50 a success among riders in 1977. Since then the engine has been continuously updated yet stays faithful to the original genial layout introduced by Italian engineer Lino Tonti in the seventies. While maintaining the classic 90-degree V configuration, the engine is now comprised of more than 70 percent new components. Cutting-edge technological solutions improve functionality, provide greater torque and power even at low rpms, and make the V7 more efficient, with higher fuel economy and reduced emissions. 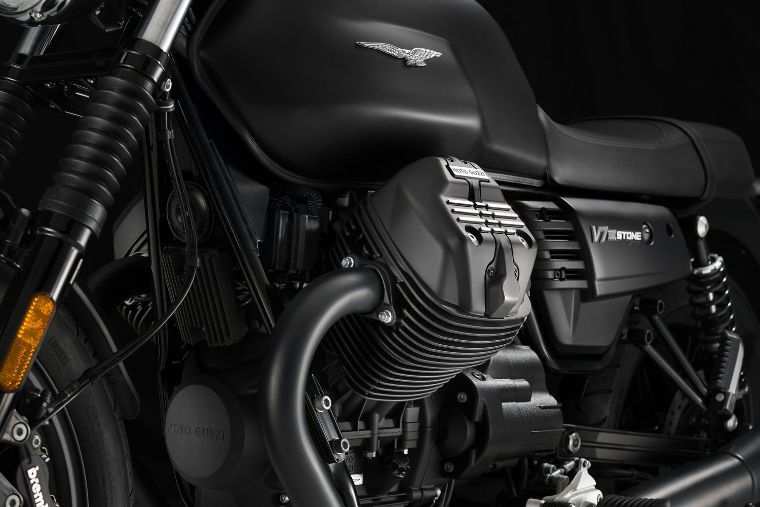 The design of the V7 Stone tells of the historic lineage of the model through a mix of forms and volumes which cite the famous ancestors, from the V7 750 Special remembered in the accents and the side panels, to the V7 Sport, which influenced the tank, also new in the V7 Stone. The new tank brings with it a superior metal construction that allows for a lighter tank along with a greater fuel capacity – the V7 Stone can hold a record 5.8 gallons which, together with reduced consumption, ensures a range of up to 310 miles. 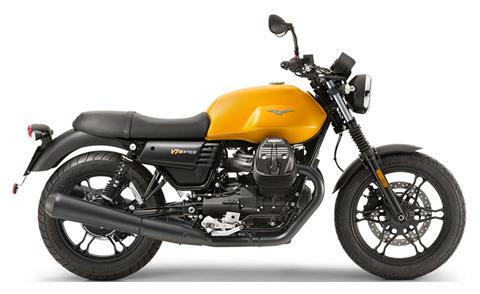 This is further proof of the design philosophy that has guided the entire V7 family: engineering innovation is always intended to restore pleasure to the rider of gripping a real, resounding metal tank in true Moto Guzzi tradition. The rest of the V7 design confirms the alchemy of tradition and modernism that was introduced in 2008 with the first V7 Classic. New lightweight, alloy wheels allow for a reduction in weight at the front and rear, translating to greater agility on the road and cruising through turns. 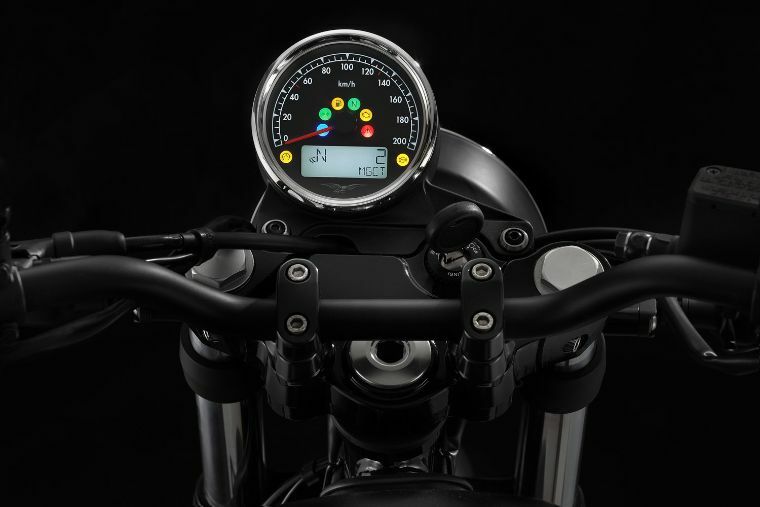 Trimmed with chrome accents, enthusiasts will appreciate the V7 Stone’s cigar-shaped silencers and instrument panel dials. Available in Nero Ruvido or Grigio Intenso, the minimalist colors combined with chrome accents are sure to make the V7 Stone a showstopper on the road or at any café, restaurant or local hot spot. The Moto Guzzi V7 II Stone ABS, iconic and prestigiously manufactured in Italy.